Northern California is one of the highest NIH funded areas for research and development and UC San Francisco, Mission Bay is at the forefront of innovation in life science and healthcare research. With their $1 billion expansion of facilities to have partial completions this year, new construction includes a Neuroscience Laboratory and Clinical Research Building as well as a state of the art UCSF Medical Center on the Mission Bay Campus to serve the needs of women, children and cancer patients. This building’s location was strategically planned to facilitate better collaboration between physicians, clinical researchers, and scientists. UCSF was also recently awarded more than $15 million in NIH funding over the next five years to continue their efforts in AIDS research as part of the UCSF-Gladstone Center for AIDS Research (CFAR). 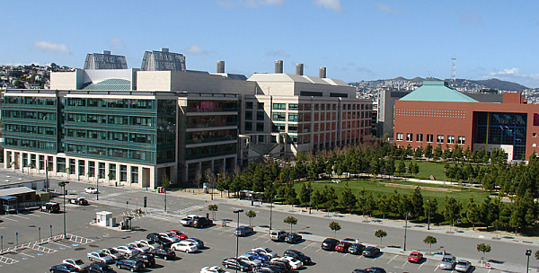 As the third largest recipient of NIH funding for stem cell research, UCSF Mission Bay has become the epicenter for discoveries related to stem cell science. Most recently, UCSF celebrates the accomplishments of Shinya Yamanaka who won the 2012 Nobel Prize in Medicine as well as the Millennium Technology Award Grand Prize for his breakthrough discoveries in stem cell research. Through our Biotechnology Vendor Showcase™ event at UCSF Mission Bay, we provide access to a $3 billion marketplacewith over $1 billion in grants and another $1.65 billion in clinical enterprising. We connect you face to face with lab managers, PI’s, and leading researchers in order to market the latest tools, technologies, and equipment to support the growing R & D at UCSF. Because this is such a large market for R & D, we hold our Biotechnology Vendor Showcase™ event twice annually. Last year we had an average of 230 attendees at each event. Arriving from over 50 research departments, attendees included around 70 professors, post docs and purchasing agents and 30 lab managers. 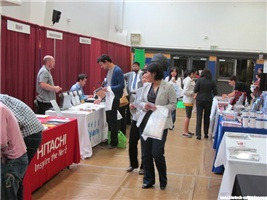 The remaining attendees were a mix of research associates and postgraduate students. The 2013 schedule has been released and our first UCSF Mission Bay show will be on February 6th! Click here for more information and to register now! If you would like to exhibit, you can take advantage of our early registration discount until November 15th. You can review recent blog articles on research happening in the San Francisco area, in our Science Market Update.